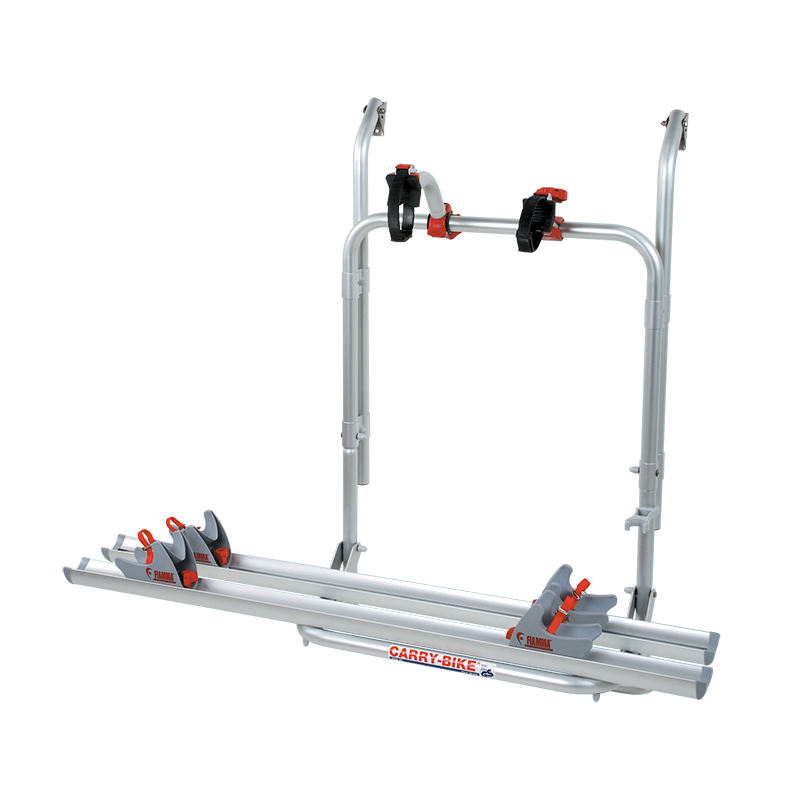 An easily installed bike carrier for vans with double rear doors (no need to drill the vehicle). The wheelbase is adaptable, from 58 – 62cm, to adapt to different sized doors. Carries up to two bicycles & is suitable on vehicles such as: Fiat Ducato before 1999, Ford Transit & Ford Transit (high roof).